It is very rare to find this type of natural reef gold from Australia. I bought all my reef gold from a gold prospector in Australia 15 years ago and I only have a few pieces of it left. 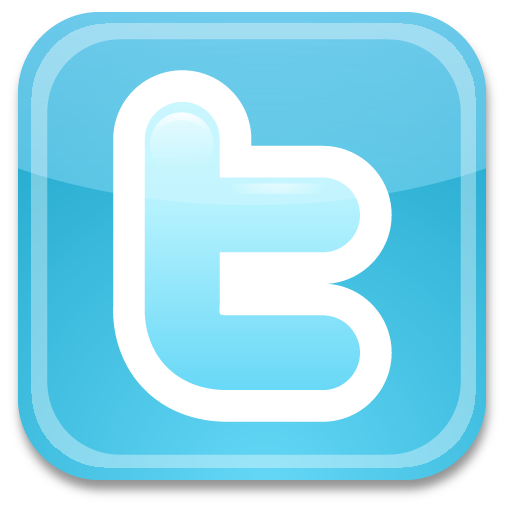 I cannot find any more like it, so get it for your collection while you still can. 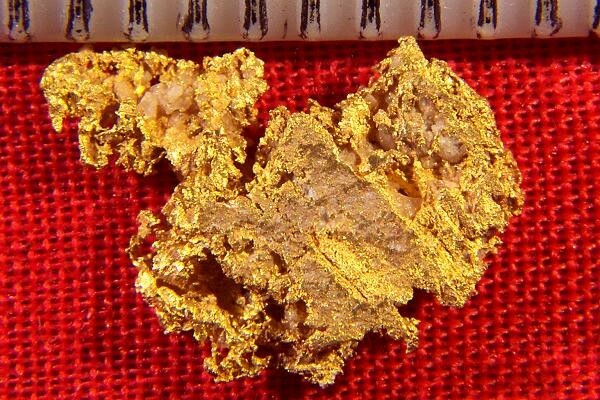 This rare gold nugget weighs in at 0.98 Gram (15.2 Grains) and it measures just over 1/2" (14 mm) long. 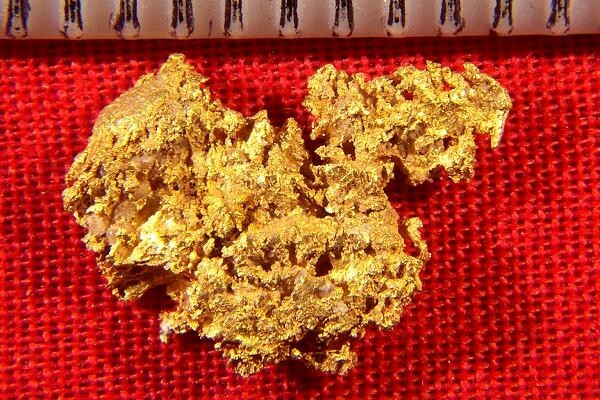 Rare gold nuggets like this are prized by collectors and investors and are rarely offered for sale. Australian Reef Gold Nuggets are extremely rare. Reef Gold Nuggets comes from old quartz reefs in Australia. We have only found gold from this location once and we only have a couple pieces of it. Australian Reef Gold Nuggets are very high purity crystalline gold. The color and texture are very pleasing, and collectors love this type of gold due to it's rarity and purity.